Event organisers expect the Sharjah Entrepreneurship Festival to attract over 1,500 attendees over the two days. 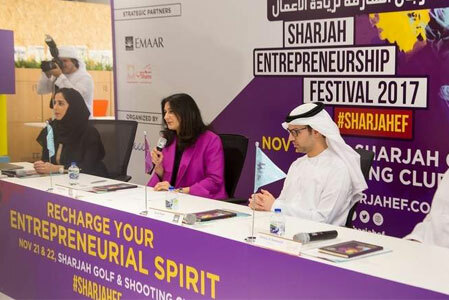 The Sharjah Entrepreneurship Centre, Sheraa, is launching the Sharjah Entrepreneurship Festival (Sharjah EF) on 21st and 22nd November at the Sharjah Golf and Shooting Club. 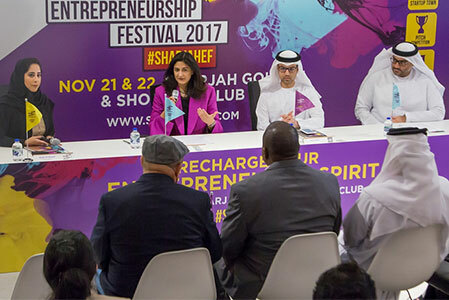 The event organisers expect the Sharjah EF to attract over 1,500 attendees over the two days, who will be partaking in inspiring discussions and empowering workshops on entrepreneurship topics. Also taking place is the festival's Pitch Competition, which is open to start-ups wishing to compete for a chance to win up to AED150,000. The festival is Sharjah's largest and most innovative entrepreneurial event, providing a unique platform for global and local entrepreneurs, investors and innovators to meet and network within the ecosystem. Najla Al-Midfa, General Manager at Sheraa, said, "Launching the inaugural edition of the festival is just one of the many ways Sharjah's entrepreneurial ecosystem is coming together to fuel not just established start-ups but also aspiring entrepreneurs. It aims to inspire new achievements, generate thought-provoking discussions and rejuvenate the ecosystem's spirit and passion for building a better future." Amongst many others, speakers include Mohamed Alabbar, Chairman of Emaar Properties; Fadi Ghandour, Executive Chairman of Wamda Group; Elissa Freiha, Co-founder of WOMENA; Magnus Olssen, Co-Founder of Careem; and Saad Umerani, VC Investor.